Specialist Party Wall Surveyor offering a complete service. 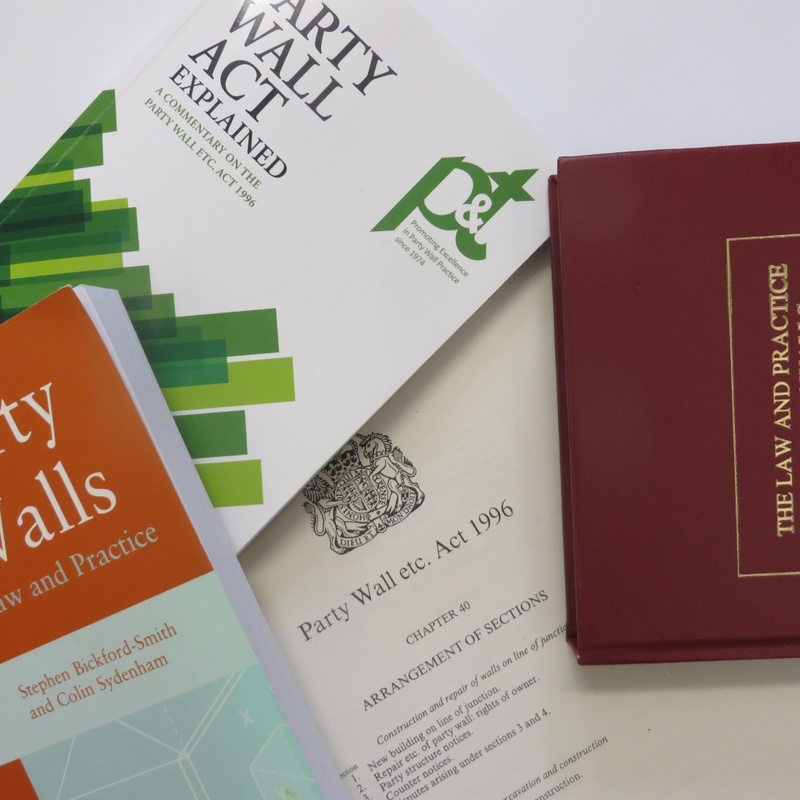 Richard Clarke is a Member of the Faculty of Party Wall Surveyors. Providing design stage advice to property owners, developers, Architects etc. so as to avoid or at least minimise the impact of the Party Wall etc. Act 1996 thus reducing the risk of delays/costs associated with serving notice under the Act, appointment of Surveyors and resolution of disputes. Providing pre-notice strategy advice to property owners, developers, Architects etc. to avoid delays to works and to give Building Owners the best chance of obtaining consent to works or in the event of a dispute appointment of an Agreed Surveyor. Serving notices and counter notices on behalf of Building Owners and Adjoining Owners. Accepting appointments under the Party Wall etc. Act 1996 on behalf of the Building Owner or Adjoining Owner or as Agreed Surveyor. Providing advice on related neighbourly matters. Negotiation and production of Access Licenses/Agreements, Scaffold Licenses/Agreements, Crane Oversail Agreements etc. Building Surveys (formerly called Structural Surveys) of all types of property undertaken including residential, commercial and industrial property prior to purchase or lease. A detailed inspection is carried out and a detailed bespoke report produced for the property. Building surveys are the most thorough visual survey carried out at pre-acquisition. Such surveys are most suitable for older properties, properties in poor condition or which have been altered/extended or are of unusual construction. Where necessary we arrange builder’s attendance e.g. to inspect high level/concealed roofs, open up concealed areas etc. Our Building Surveys are tailored to meet the specific requirements of individual Clients. Where testing of mechanical and electrical services, inspection of specialist services etc. is necessary we are able to instruct specialists on your behalf. Following completion of the site inspection, we contact the Client to discuss our findings. This allows the Client to consider any significant items we discover at the earliest opportunity. Where the subject property is to be leased the report would additionally detail the repairing liabilities and their likely consequences upon the parties to the lease. Where necessary we would as an additional service be able to produce a Schedule of Condition (a written record with photographs) for the subject property in order to limit the repairing liability of the tenant. We act on behalf of the Landlord and the Tenant in matters of dilapidations; without expert advice this could prove to be a costly exercise. As part of our service we examining the lease and associated documents to establish the nature and detail of repairing liabilities and their likely consequences upon the parties to the lease. Providing advice to both Landlords and Tenants regarding the repairing, reinstatement and other liabilities under the lease. Inspecting the property (which is the subject of the lease) to confirm the current condition of the property and identify the repairing reinstatement and other liabilities etc. of the parties to the lease. For Landlords – reviewing the lease and associated documents, inspecting the property and producing a Schedule of Dilapidations identifying breaches to the lease for service upon the Tenant. For Tenants – reviewing the lease and associated documents, inspecting the property, considering the Schedule of Dilapidations and responding to the breaches complained of. It should be noted that should a tribunal (typically the Court in dilapidations matters) come into play our primary responsibility will be to that tribunal rather than to you as Client.